South Carolinians! You can find Wing Chun lessons near you. Click the links below for more information on these Wing Chun schools in your state. They offer group and private lessons. 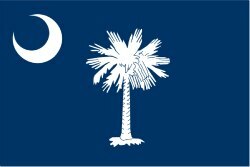 And if you're traveling to the Palmetto State, I'm sure they can accommodate you with short term or temporary classes. When you contact them, let them know you heard about them through the WingChunLife.com website. Thanks. Want More Kung Fu Schools? If you want to check out more kung fu schools in South Carolina, or around the world, use the search box below. Just type the words "Wing Chun" (without the quotes) and the city or area, then click the search button. Like magic, available classes will appear! If you're a sifu or manage a school, showcase your kwoon here and help new students find you!